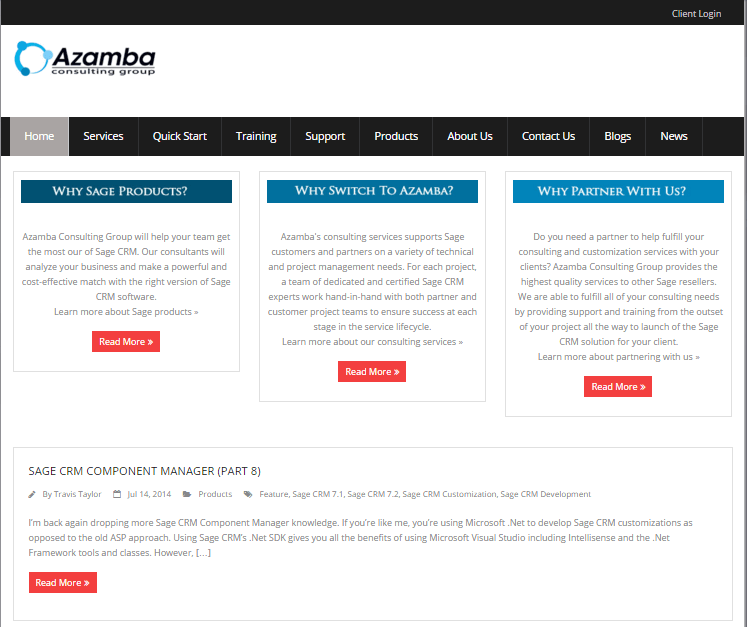 We recently finished redesigning the website for Azamba Consulting Group – a Sage CRM partner based in Chicago. 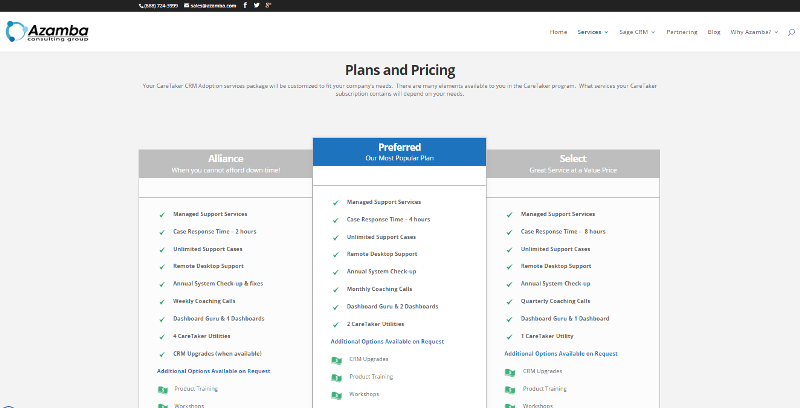 We wanted to share some of the project details here on our blog to help other Sage partners that may also be considering a website redesign. Like most website redesign projects, Azamba hadn’t done much with their old website in a very long time and felt it needed an updated look, some new content, and better navigational flow. Side Note: Whether it’s a fair assumption or not, a lot of customers and prospects will take one look at your old or aging website and make an assumption about your ability to deliver technology solutions. Image is important. Below is a snapshot of what their old website looked like – this image was grabbed from an internet archive site called the Wayback Machine. It’s a fun tool to play around with and see how the internet has changed, even in just a few short years. 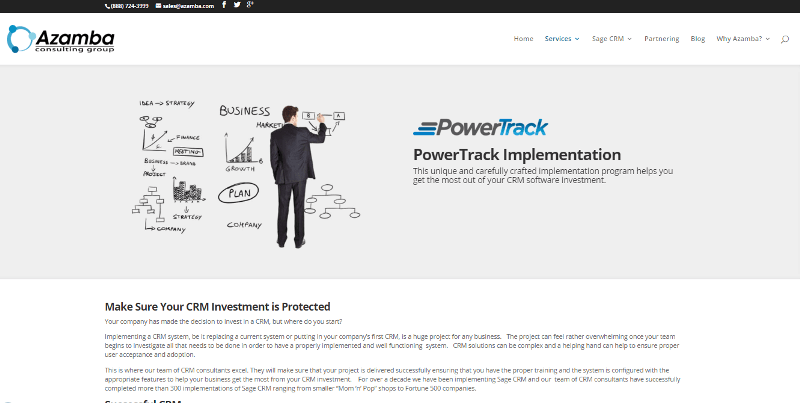 Now I will point out that even their old website didn’t look THAT bad. We’ve definitely seen websites that are much worse visually and far more neglected. But beyond aesthetics, another important objective of the website redesign was to provide Azamba with a fast and easy way to update their content, add new pages, and make changes easily without needing to have a bunch of technical training or fumbling around with HTML code. A very popular choice for website redesign these days, WordPress provides a powerful platform and set of tools that allow you to manage and update your website without technical knowledge. After guiding them through various theme options (or designs) that lay over the core WordPress engine that give it style and structure, Azamba decided on the new Divi theme from Elegant Themes. Featuring a really cool visual editor called the Divi Builder, this theme allows you to build and edit page layouts using drag-and-drop functionality without ever touching a single line of code. That flexibility allowed us to build some unique page layouts that do a great job of featuring some of their most important products and services. That’s an important distinction because with most WordPress themes, you don’t have quite as much design flexibility which means that (outside of the home page) one page is going to look very similar to almost every other page on your site (typically content on the left, sidebar on the right). 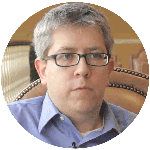 According to Peter, an important factor in choosing Juice Marketing to lead the web redesign project was the industry-specific experience that our team brings to the table. If you’re considering a website redesign, we encourage you to take a look at our program. When you chose Juice Marketing, you get more than just a pretty new website. Because we specialize in working with Sage and Microsoft Partners, we understand the software and technology buying process and create websites that attract prospects and convert them into customers. I am impressed with the improvements in layout and design that you made, but I am not that clear on the project goals other than layout and esthetic improvements and to make the content easier to manage. Were those the two main goals here, or are there more goals that I didn’t get from the article? It seems like there is always a balance between doing it yourself and saving money and hiring marketing work out and having it look “right” and be effective in various ways. The exact numbers would be confidential for most clients, but could you post an article or two with examples about the how to determine project budgets for marketing with the clients names anonymized?